As a child celebrity, you’re able to make a pretty decent living. If you are just the right about of personable and adorable, it turns into an overnight sensation and pays well in Hollywood, and if you play your cards just right, that can also lead to a career in television and movies that will rival some of the largest names in the business. Take actors like Ron Howard, Kurt Russell, Jodie Foster, Natalie Portman, and Leonardo DiCaprio as examples. All have been working in Hollywood films for decades and still actively are. They found their success and managed to stay popular with a widespread audience. But for some celebrities, the transition from a child actor to an adult actor hasn’t been as easy. And, this isn’t always their fault. For every A-list star that grows up and becomes attractive and stunning, there are another 10 who completely phase out because their looks failed them. The freshly squeezable faces and adorable voices that turned them into huge stars as children left and dropping voices, pimples, bad habits, and weight gain did them in. These kids (and their agents) might’ve believed that they’d remain cute forever, but sadly, it did not turn out that way, and these once hailed celebrities aren’t relevant in Hollywood anymore on any level. Here is a list of 15 celebrities who had made it as children. While everyone believed they’d stay cute forever, reality hit hard. Once the faces of people you’d see on television and movies, they have now become the faces of “whatever happened to” shows that so often have graced our television screens. Hopefully, these actors were wise and saved their money. The way they look now, they will more than likely not be getting any work in Hollywood anytime soon, at least not because of how cute they are. 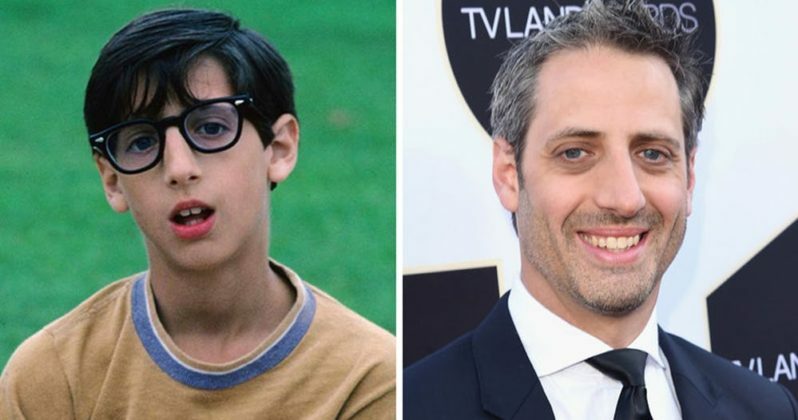 Josh Saviano was the geeky cute kid you would see on Wonder Years, and while he grew up it was rumored he was the secret alias of Marilyn Manson. That isn’t saying very much if you are hoping to continue having a career in Hollywood as an adorable sidekick. Some of the features that make you stand out as a kid like nerdy glasses, a distinct nose, or buck-teeth are cute and can easily be played off as features that make you adorable and unique in your own oddball sort of way. Saviano was able to play this role perfectly as a child celebrity. Today, Saviano is all grown up and has had a hard time shaking some of those features that made him unique as a kid. The problem is, there are not too many roles looking for the nerdy goofy adult sidekick, and he isn’t actually Marilyn Manson.